allCards.com is unlike ANY credit card review website you’ll find anywhere. While that may be a bold statement, it’s true as you’ll see in a moment. There are two kinds of credit card websites. The first kind are the websites run by the credit card issuers like American Express, Discover, and Chase. These sites are great if you already know which credit card you want. But if you are not sure, or are trying to find the best type of card for your financial needs, searching through all of the card issuers’ sites can take a really long time. And that brings us to the second kind of website, the credit card review site. allCards.com reviews all kinds of credit cards offered from major credit card issuers to small regional banks and credit unions. Because there are a lot of credit card review websites, you may be asking what’s so special about allCards.com, as we call it. Well, to understand why this site is so special, there is a little known secret in the credit card industry you need to understand. When you go to a credit card review site and click on a card, you’re taken to the online application page for that credit card. If you apply for the card and are approved, many credit cards will pay a referral fee to the review site. In and of itself, these referral fees are no big deal. allCards.com receives referral fees from some credit cards, which helps keep the lights on here! But here’s the problem–most credit card review sites display ONLY cards that pay them a referral fee. If there is a great credit card offer available that they can’t make money from, they won’t share that offer with you. 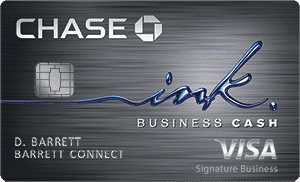 As an example, compare our business credit card page with any other credit card site you can find. Business cards right now aren’t paying websites any referral fees, so card sites have removed them from their pages. We haven’t. In fact, we cover all kinds of credit card offers, whether they pay a referral fee or not. allCards.com is dedicated to one thing, and one thing only–bringing you the best deals on credit card offers available anywhere. We search high and low for rewards credit cards, 0% balance transfer offers, high limit credit cards, and everything in between. We also provide unique content about the credit card industry, regulations and news. And finally, allCards.com publishes educational content designed to raise awareness about the advantages and disadvantages of credit cards.